it is an excellent basis for the development of your own Garbage Collection mechanism. It provides the necessary functionality to make runtime work properly and you can build on top of that. it may be interesting for special use cases like very short living applications or such that almost no allocate memory (you can come up with those concepts as No-alloc or Zero-alloc programming). In such case providing GC overhead is unnecessary and it may be wise to get rid of it. It is like making huge GC.TryStartNoGCRegion over all you application. Note: All I’ve done here is currently Windows-related so some steps should be tailored accordingly to Linux environment. I assume also the newest .NET Core 2.0 SDK (not preview) version is installed. Note: You can clone my GitHub repository and compile CoreCLR.ZeroGC project for reference. All following code samples come from this project. In case of -buildstandalonegc option there are two additional FEATURE_STANDALONE_GC and FEATURE_STANDALONE_GC_ONLY preprocessor defines enabled. After successful build you should have your brand new custom CoreCLR located at .\bin\Product\Windows_NT.x64.Debug folder. Although we could use standard tooling and integrate it with classic dotnet run command, it is not necessary here (and currently a little bit unstable anyway). We can use simpler CLR host called CoreRun.exe located in the mentioned folder (and I will refer to this folder as CLR_DIR). Get the location of the standalone GC from GCStandalone setting. It can be set both by registry or environment variable in an usual CoreCLR way. We will use COMPlus_GCStandaloneLocation environment variable pointing to our DLL. // The function that initialzes the garbage collector. // Should only be called once: here, during EE startup. // Returns true if the initialization was successful, false otherwise. Call InitializeGarbageCollector function from the specified library, providing it IGCToCLR interface and obtaining IGCHeap, IGCHandleManager and GcDacVars pointers. From now EE will cooperate with our custom GC via mentioned interfaces and no default GC code will be used! Sounds very interesting and easy! From the user perspective it means we only need to define one environment variable and CoreCLR will replace default GC implementation. Great work has been done to separate the GC from the engine so well. Creating a DLL containing our own GC is fairly straightforward, however the separation is not strong yet enough to make sure there are no problems at all. One of the problems is to include the appropriate set of header files. It has become impossible to include them unchanged. This entailed joining the next and subsequent files, until eventually you would have to include almost all CoreCLR sources. Eventually, I’ve just created my own header files, containing only the necessary definitions taken from the CoreCLR code. In our simplified case its only responsibility is to return custom interfaces implementations. We should also store somehow the pointer to the IGCToCLR interface allowing us to cooperate with the runtime. Now let’s look at each of these interfaces closely. // Suspends the EE for the given reason. // if the EE is being restarted because a GC is complete. // Callback from the GC informing the EE that a GC has completed. // Callback from the GC informing the EE that it is preparing to start working. // this function may also enumerate all static GC refs if necessary. With the help of those methods we can create sophisticated GC implementations. However in case of our Zero Garbage Collection, calling only one method will be required as we will see later. By the way, this shows that some coupling between runtime and GC still exists and we have to use such tricks to overcome it. This is in fact all we need to have our custom Garbage Collector working. Obviously there are some parts missing (especially real handles management) but as PoC it works perfectly! CORE_LIBRARIES variable is required by the CoreRun itself to point to .NET Core folder. COMPlus_GCStandaloneLocation was mentioned before and it tells the CLR to use our custom GC. Unfortunately for Debug version of runtime currently we also need to set COMPlus_HeapVerify=16 (which sets HEAPVERIFY_NO_RANGE_CHECKS (0x10) for HeapVerifyLevel) as it excludes checking if an OBJECTREF is within the bounds of the managed heap. There is no managed heap in fact so those checks makes no sense. And that’s all! We have just run the very first .NET Core program with our Zero Garbage Collector enabled. Note. Due to loose coupling between EE and GC, you can also go opposite way! 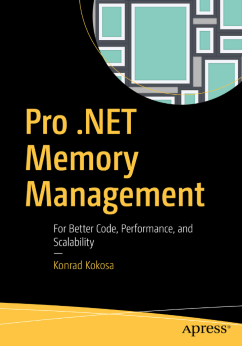 You can re-use automatic memory management code from CoreCLR in a stand-alone application, without whole .NET runtime. There is even separate GCSample project included in CoreCLR code doing exactly that.